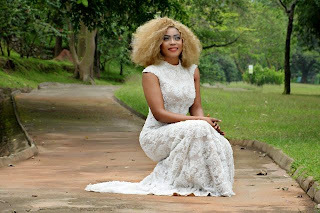 Ex Miss Ambassador For Peace south West, Queen Tope Adeniji celebrates birthday as she speaks more about her future project and what she intends doing for the poor. The pretty queen also releases some stunning photos to mark her day. 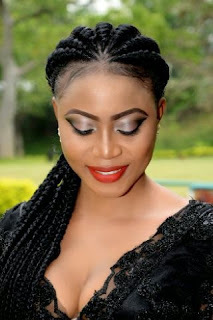 The former beauty queen who hosted the popular Niger Delta Youth Peace Summit 2014, is opening her own foundation to carry out her charitable work on a bigger platform, which she names after her mother, the woman who teaches her all she has become today and also who inspires her in opening this foundation. The name of the charity foundation is Olive Foundation for the destitute. As a way of touch lives and help the poor she intend building the foundation into a national and global reach. The foundation is to give hope to the hopeless, assist children who their parents can not take care of their school fees, take people out of the street, give life support to the sick. The new foundation will also give medications to those hospitalized and empower those who has no one to give them support to learn a skills. Speaking to Abuja media on her birthday, Queen Tope said" This has always been my dream right from childhood and I won't rest till I build this dream...I will need support from the public and other people who has the mind of helping the public...am happy to take up this bold initiative on my birthday"
Though, as at writing this report, the highly intelligent beauty paragon is preparing to celebrate her birthday with a party tonight a Avatar lounge.